At the moment, the plans are aspirational. 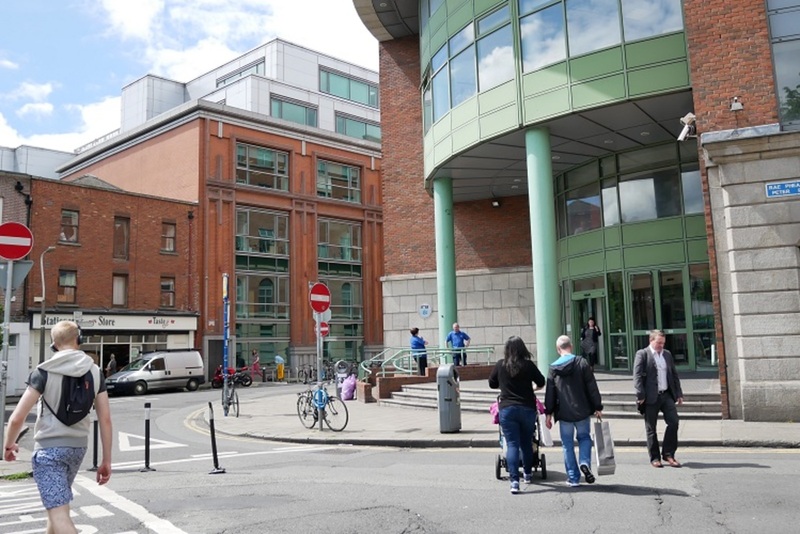 But Dublin city councillors agreed in principle to several different projects in Ringsend and Irishtown shown to them at a recent meeting of their South East Area committee. If they happen, the plans would mean that Ringsend Park would be spruced up and connected to the Irishtown Stadium, Library Square would be improved, and there would be a greenway for cyclists between Ringsend Park and Sandymount Promenade. They’ve talked to residents along the way, said Mark Campbell of landscape architects Mitchell and Associates. “The process has included a number of community workshops and the feedback has heavily influenced the plans,” he said. But some say that along with the infrastructure, the neighbourhood needs measures to deal with a growing divide. 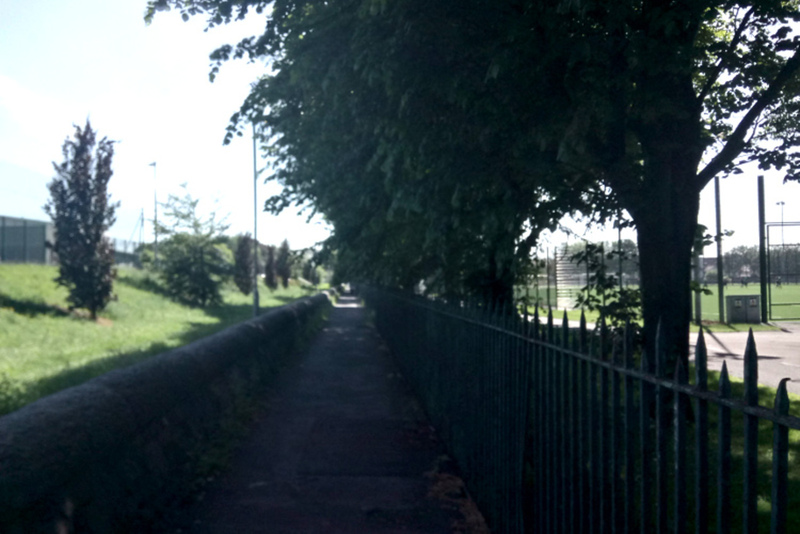 At the moment in Ringsend, there is a walkway known locally as “the drain” that runs between Ringsend Park and Irishtown Stadium. But it is fenced in on both sides. The plans would see those fences removed, but not all local residents are sure that’s a good idea. It could be “putting the cart before the horse”, said Tom Crilly, a Ringsend resident, speaking on the phone today. He’s worried about anti-social behaviour. In the past, in relation to other parks, council officials have said that one of the best ways to deal with anti-social behaviour is to open them up, and get rid of railings. At the meeting, though, Campbell said that this idea would only go ahead if and when it receives the backing of the community. Under the plans, the park would also get broader footpaths, more seating and improvements to the ecological zone, a kind of natural garden, there. There are a number of problems with Library Square, said Campbell. “Mainly that it is inaccessible and uninviting,” he said. 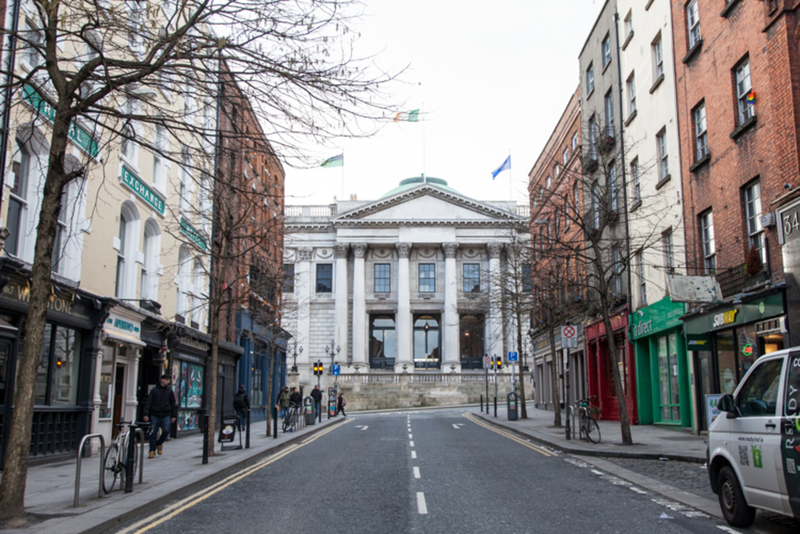 Labour Councillor Dermot Lacey seemed to agree, calling it “stark, nearly Stalinist”. 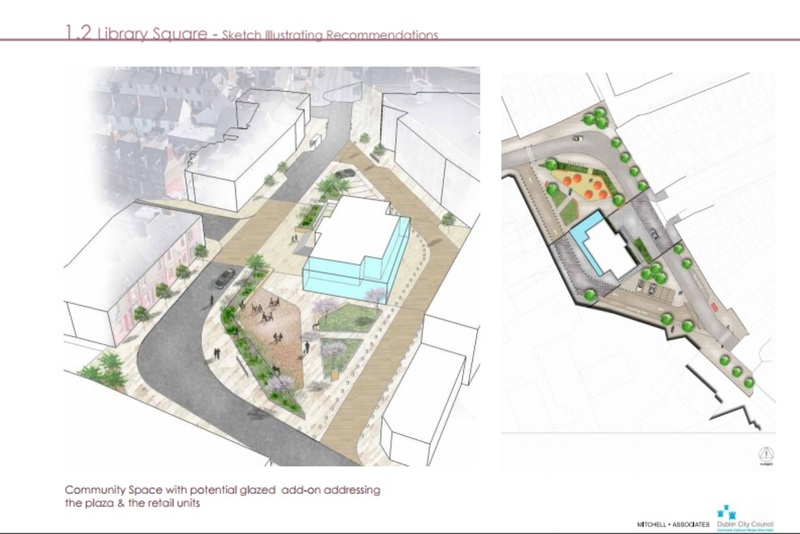 The sketch in the proposal to improve it shows a plaza with a café and an events space. The road is narrowed and the square widened. There is more seating and several small green spaces, too. Trees, plants and flowers would illuminate the space, and a “village-type feel” could be created, said Campbell. At the moment, the square is uneven, with five different levels that pedestrians have to navigate. 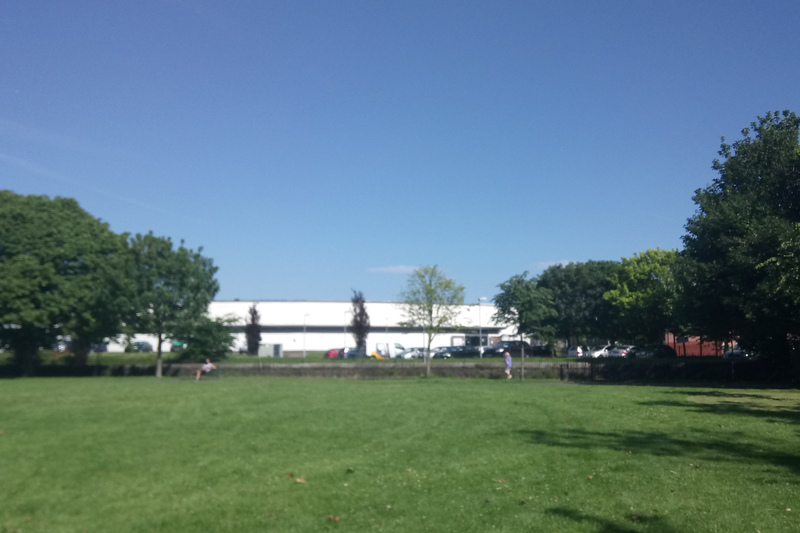 The plans the committee heard at its meeting also set out a green corridor connecting up the green open spaces in the neighbourhoods, which would run from Ringsend Park, into Sean Moore Park, and through to Irishtown Nature Reserve and Sandymount Promenade. Some involved in the neighbourhood said that more also needs to be done to connect up the different communities in the area. “We need to integrate the new Poolbeg SDZ with traditional Ringsend. I don’t want to see two separate communities emerging there,” said Labour Councillor Lacey, at the meeting. The current lord mayor of Ringsend and Irishtown – who is elected by locals through the community centre – said the same. There are two distinct communities emerging and some kind of integration work is needed, said Tony McDonald, aka Deke Rivers, who is a long-time community activist. 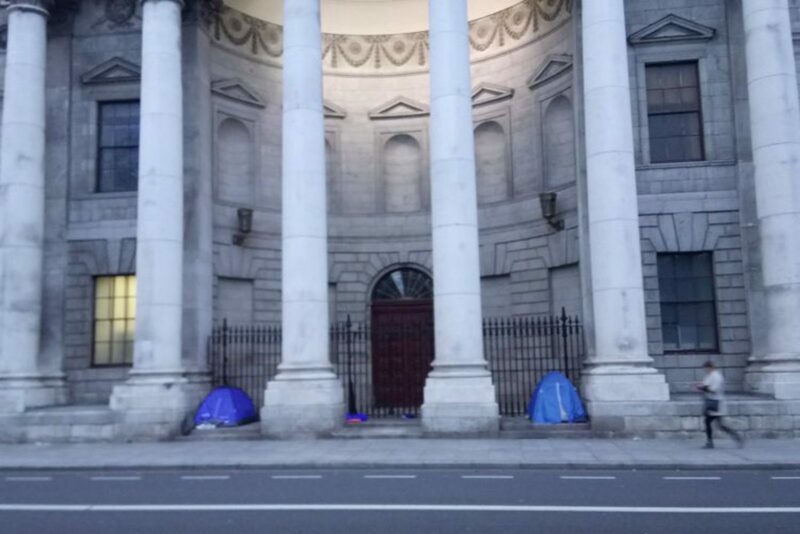 There have been complaints about swimming in places where people have always swum, and requests by some in Grand Canal Dock that they stop ringing the church bells. “They have probably been rung for 100 years,” he says. Rising house prices mean that many local residents feel that they are being priced out of the market by tech firms, he said. Plans for the area need to include integrating the community and securing real opportunities for local people, said McDonald.